practices that are already addressing this issue and transforming the region. A new Economic Map Latin America and the Caribbean, based on IDB original research, was presented during the conference, along with the announcement of specific goals for the region’s majority over the next five to ten years. 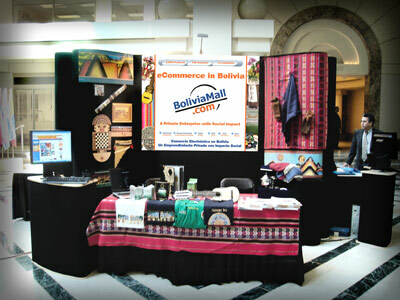 BoliviaMall.com participation included a send with the theme “BoliviaMall.com: A Private Enterprise with a Social Impact” which included a small sample of the products BoliviaMall offers online. Additionally, BoliviaMall.com executives presented their experience in using information and communication technologies in a developing country.